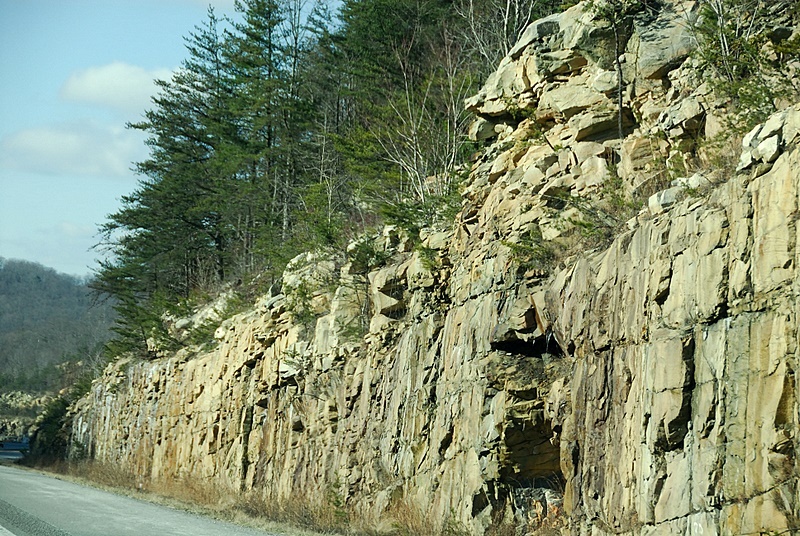 Rock cut in Tennessee along I75 south through car window at 65 mph. D200 18-200 VR at 75 mm 1/1000 f5 ISO 400. 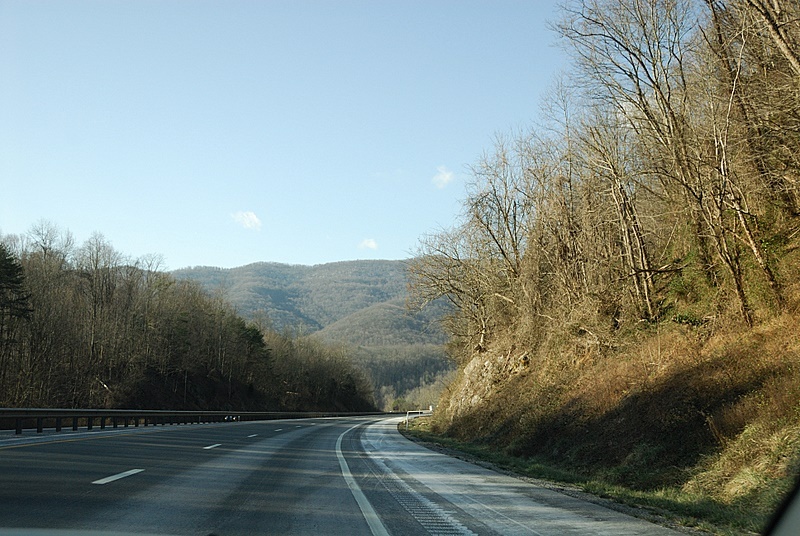 Tenneesee hills on I75 south. D200 18-200 VR at 26 mm 1/1000 f3.8 ISO 320. 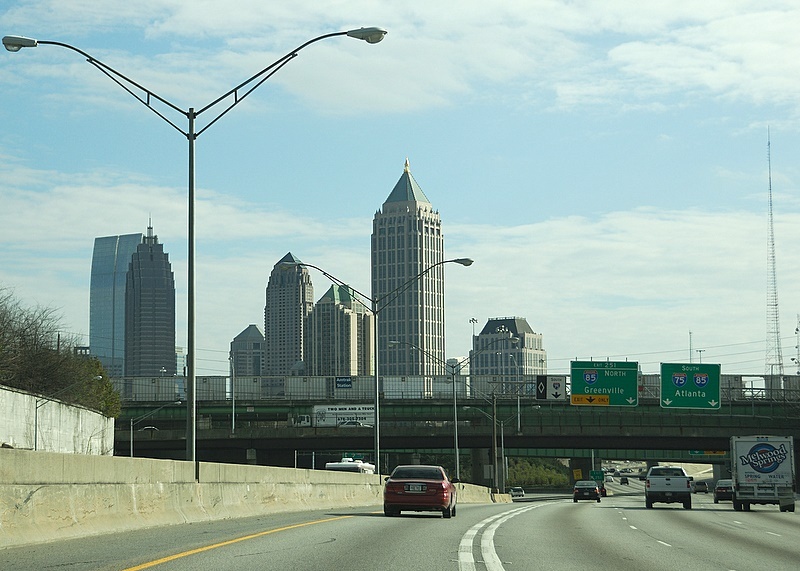 North end of Atlanta , GA at 55 mph through windshield. D200 18-200 VR at 48 mm 1/100 f 4.5 ISO 110. 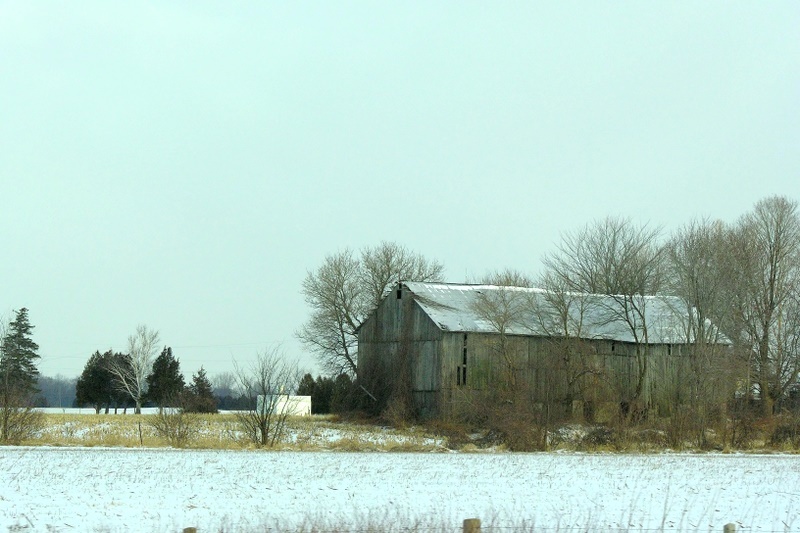 Barn in the snow west of Windsor, Canada along Highway 401. CP 8800 at 1/1000 sec from passenger seat at 100km/hr with VR active. NR in Neat Image demo. 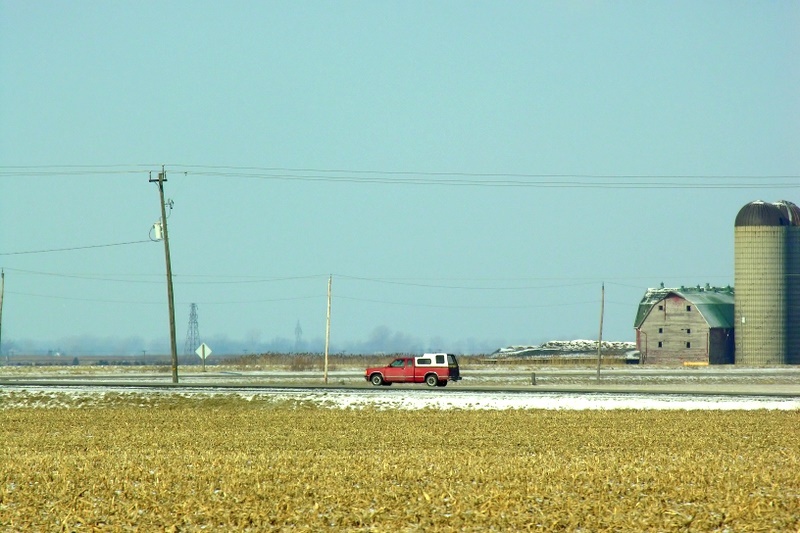 A country road seen from Highway 401. CP 8800 at 1/1000 sec from passenger seat at 100km/hr with VR active. NR in Neat Image demo. 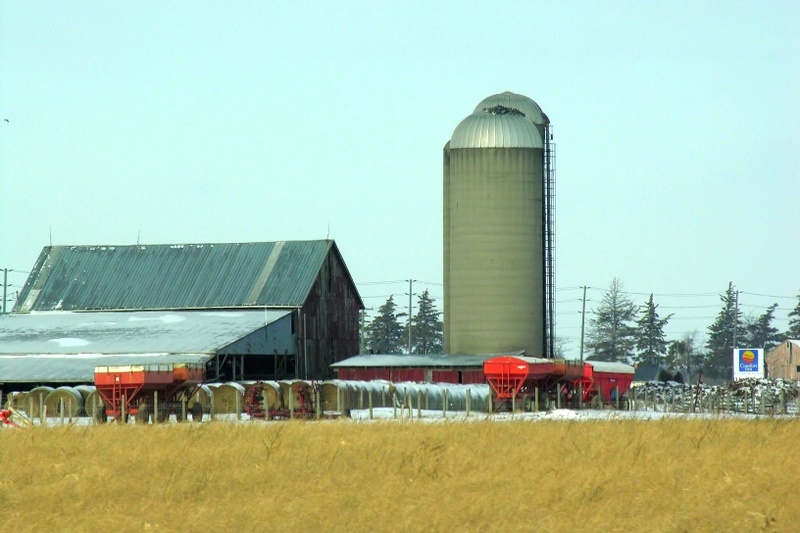 Farm buildings. CP 8800 at 1/1000 sec from passenger seat at 100km/hr with VR active. NR in Neat Image demo. 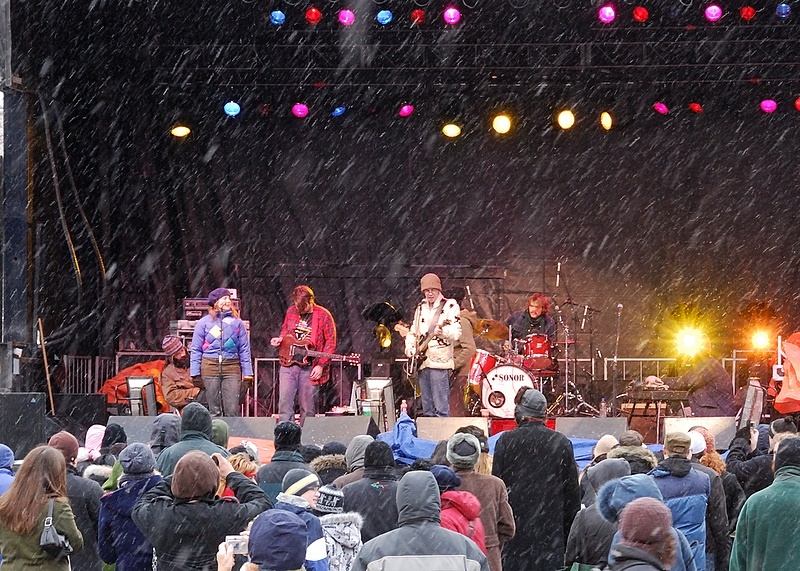 Toronto’s Wintercity Festival … concert in the snow. D200 18-200 VR.